I know this isn’t technically Disney related but since I’m a Universal Orlando Annual Passholder too (and visit as often as I visit Disney), I decided to include some of my Universal souvenirs. I really loved the Shrek chocolate bar I got from Universal a while back so I decided to try out some of their other flavors. 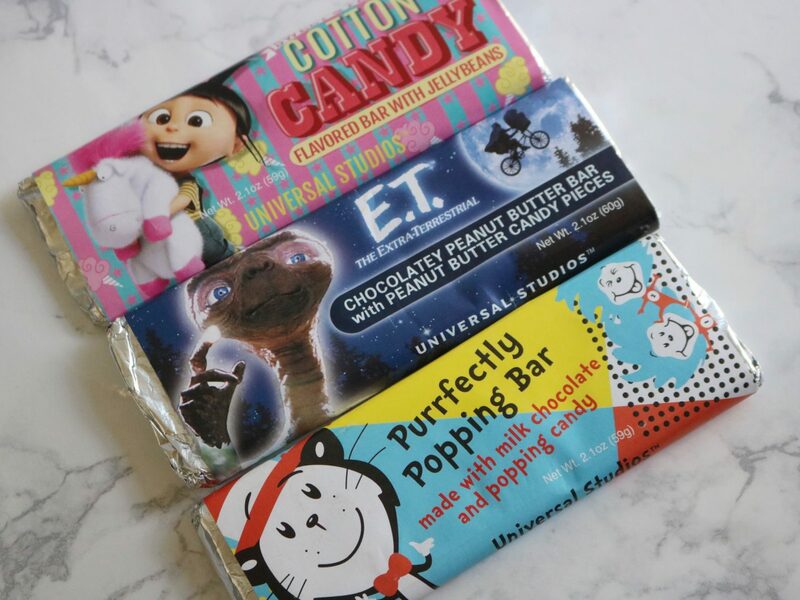 Since they were 3 for $10, I decided to try the Despicable Me bar (which is cotton candy flavored with jellybeans), the E.T. bar and the Cat in the Hat bar. 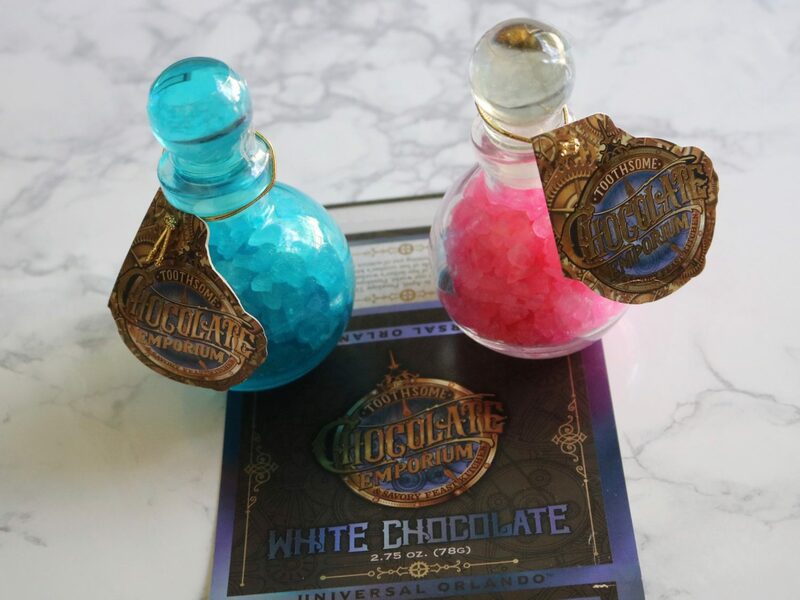 I also picked up a white chocolate bar and two packs of rock candy from The Toothsome Chocolate Emporium at CityWalk (I mostly wanted the rock candy because of the cool potion-like packaging!). 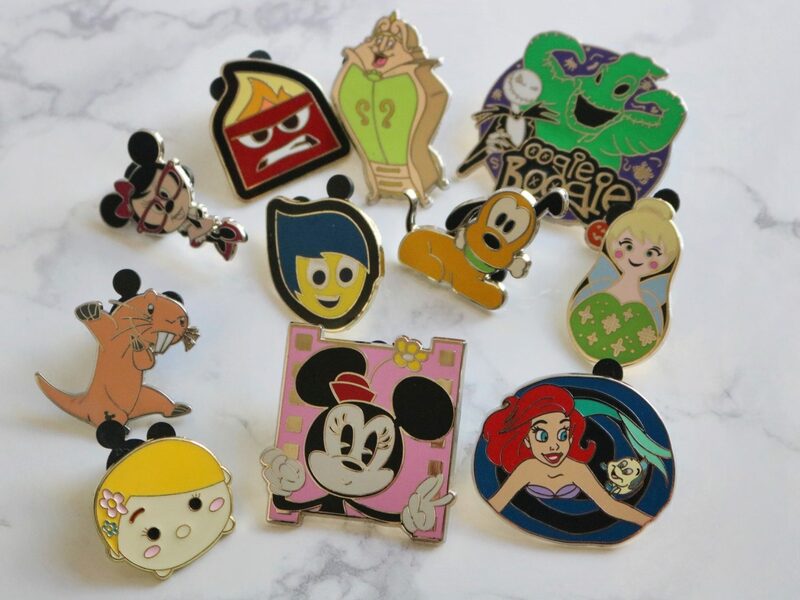 One of my favorite things to do at the Disney Parks is Pin Trading! I always try to bring around 50 pins each trip so I can trade them. 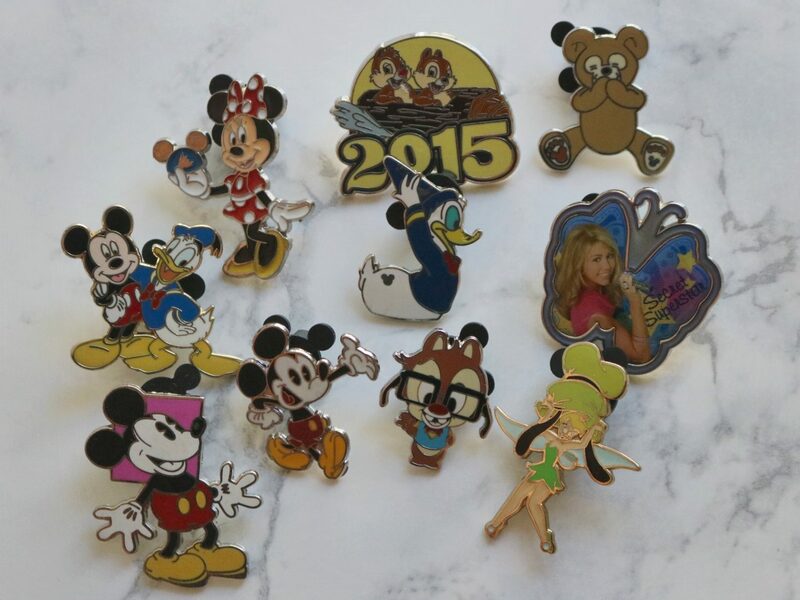 Although I didn’t quite trade all 50 during this trip, I still got a lot of cute new pins. It’s super rare to see a Disney channel pin so I grabbed that Hannah Montana pin as soon as I saw it! 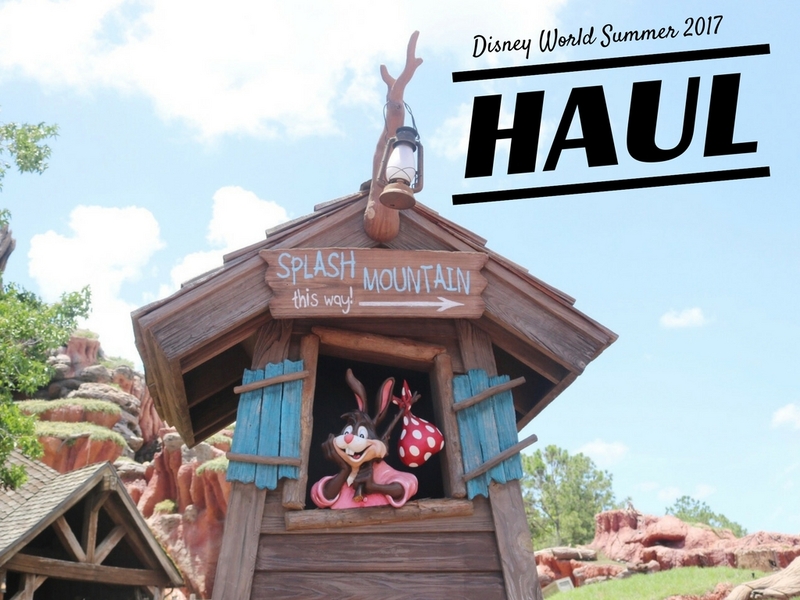 Also, how adorable is that laughing Duffy pin? Like I said, it’s pretty rare to see a Disney channel pin so I was shocked to see that Rufus pin (I’ve NEVER seen a Kim Possible pin in person before!). 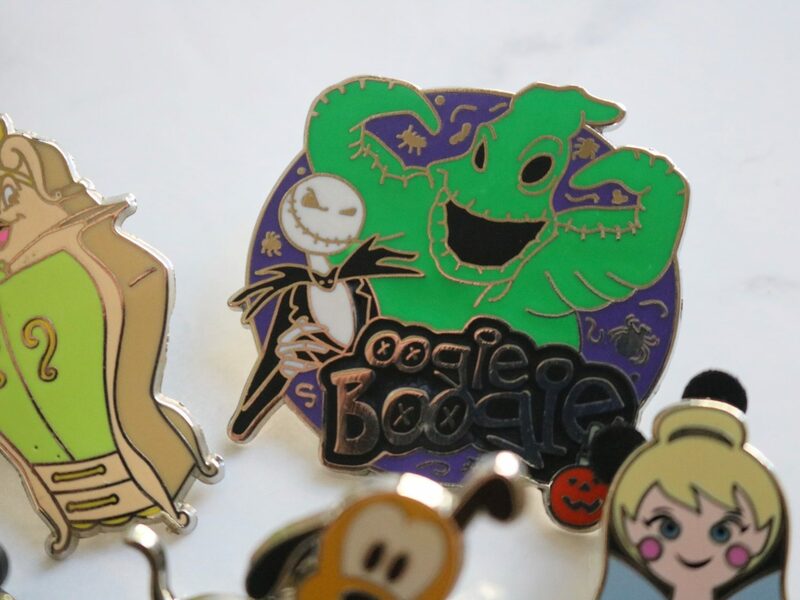 My favorite pin was definitely this Nightmare Before Christmas pin! I can’t wait for fall/Halloween (anyone else start decorating for Halloween on September 1?). 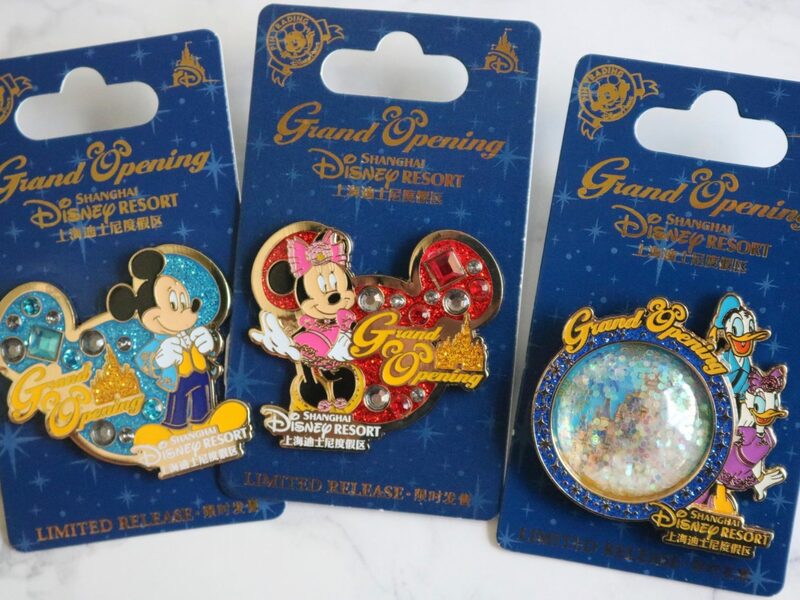 At the China Pavillon in Epcot they had some Shanghai Disneyland grand opening merchandise, so I picked up three grand opening pins (how gorgeous are they?). 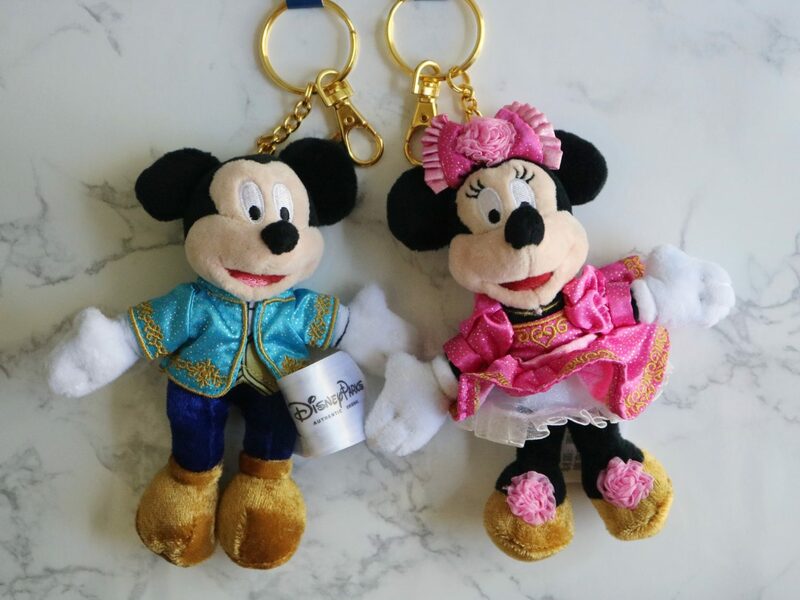 I also got these ADORABLE Shanghai Disneyland Mickey and Minnie keychains! 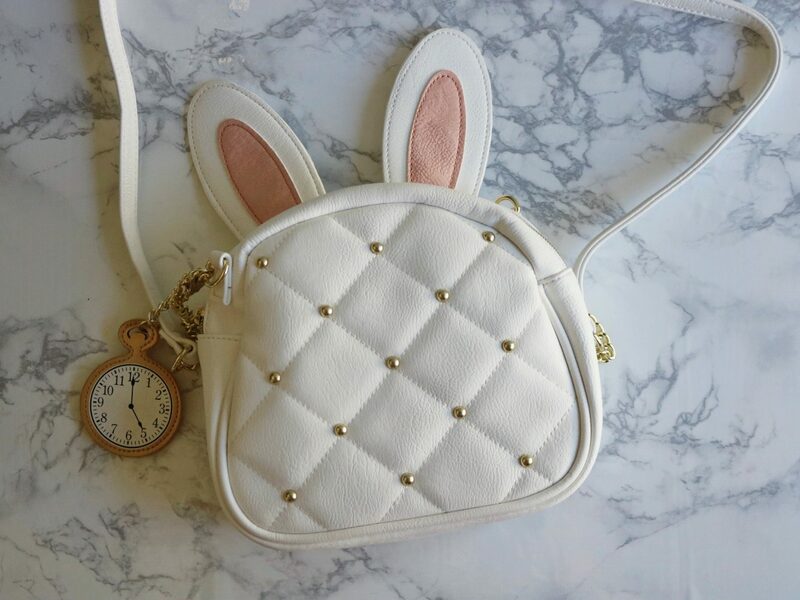 One of my favorite purchases during this trip was this super cute White Rabbit purse! 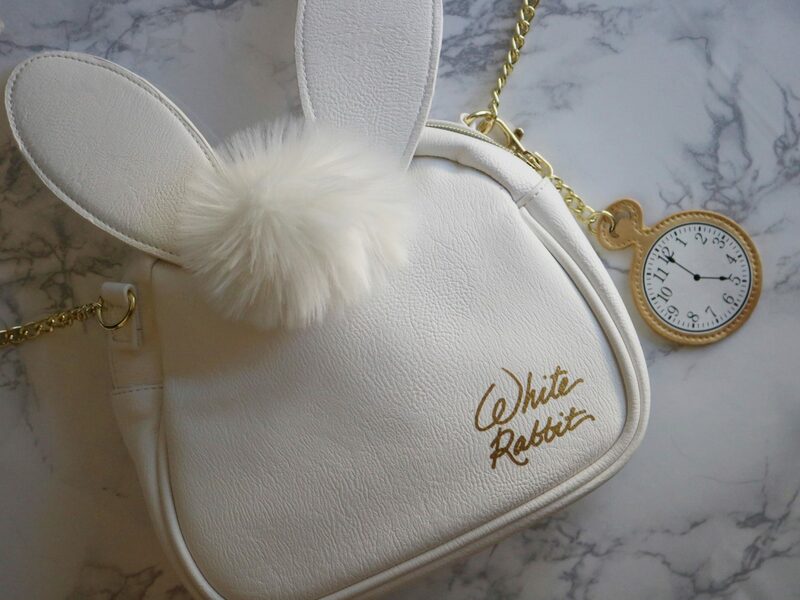 It even has a little fluffy tail on the back (how cute!). I also got a few cute Disney T-shirts and an awesome Minnie Mouse bomber jacket. See you again in October (for Mickey’s Not So Scary Halloween Party and the Epcot International Food & Wine Festival) Disney World!